Professor Melanie Calvert, PhD, is a Professor of Outcomes Methodology at the University of Birmingham UK, has extensive experience in the design and analysis of clinical trials, trials methodology, systematic reviews, meta-analysis, economic evaluation and epidemiology. Her primary research interests are outcomes research, including the use of composite outcomes and best practice for patient-reported outcome assessment in clinical trials and routine practice. Prof Calvert leads the Health Informatics and Patient Reported Outcomes (PROs) Research Group at the University of Birmingham, is an expert advisor to the NIHR West Midlands Research Design Service (patient reported outcomes/trials methodology), an NIHR CDRF Panellist, was a member of the International Society for Quality of Life Research (ISOQOL) Board of Directors, is co-Chair of the ISOQOL Best Practice for PROs in Clinical Trials Task force and Chairs the Applied Health Research Workstream/is a member of the Scientific Advisory Board within the Institute of Translational Medicine. She has >120 peer-reviewed publications in journals including the NEJM, BMJ, JAMA and the Lancet. Her highly cited work has informed European Society of Cardiology guidelines, NICE and EMA guidance, was REF returned and the subject of an Impact Case Study. 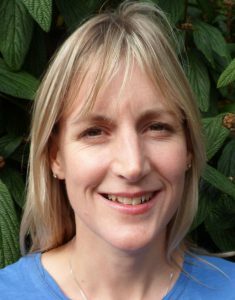 Prof Calvert works closely with a wide range of national and international collaborators to maximise the reach, influence and impact of her research. She sits on a number of international committees leading national and international strategy for PROs research/implementation.